Teeth affected by chips, cracks, discoloration, and more can be conveniently repaired through dental bonding. 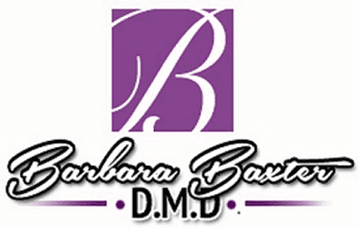 Barbara Baxter, DMD, provides dental bonding procedures at her welcoming Washington, DC office. Bonds made from composite resin are tooth-colored and effectively address many different smile flaws. If you’d like to schedule a bonding procedure at the office, call or use the online booking tool today. The process of dental bonding refers to using composite resin — which matches the color of your teeth — to repair cosmetically flawed teeth. Dental bonds are custom-fitted restorations that can vastly improve the look and function of your teeth. Resin — the plastic used in fillings — is very durable. Unlike other types of restorations such as veneers or bridges, dental bonds can be produced and placed in a single visit to Dr. Baxter’s office. Dental bonds quite literally “bond” to your natural tooth. What are dental bonds used for? Bonds can also be used in lieu of dental fillings to treat cavities and prevent future decay. In some cases, they’re also offered to cover the exposed roots of teeth affected by severe gum recession. How do dental bonding procedures work? First, Dr. Baxter carefully selects a shade of composite resin that closely matches your natural teeth. She then cleans your tooth, applies a special conditioning liquid, coating it onto your tooth, so that the bonding material can be applied. Once she’s done preparing your tooth, she gently places, molds, and smooths the resin onto your tooth until it takes the proper shape. She then hardens the material through the use of ultraviolet light. After the resin hardens, Dr. Baxter performs final shaping alterations before polishing the material. In all, a bonding procedure should take approximately 30 minutes to an hour. Following the procedure, Dr. Baxter discusses how to best care for your new bonds and ensure they last a long time. How long do dental bonds last? Bonds should last at least several years before they need repairs or general upkeep. Particularly for the first few days after your bonding procedure, it’s very important to avoid items that can stain the resin. Avoiding or limiting your intake of tea and coffee, as well as not smoking cigarettes helps prevent staining the resin bond. Make sure to maintain regular dental visits so Dr. Baxter can monitor your bonds. To schedule your next visit, call or use the online booking tool today.